Basso wanted to create a bike with a very fresh look but keeping an “easy” and classical geometry. Similar to the Astra this brand new frame is “Alu Free” meaning there is no aluminum in the bearing holders ( bottom bracket and head tube area). Internal cable routing, Di2 or Eps compatible, conical shaped head tube and full carbon fork are some of the features that make this frame a great one. Tubing shape and frame shape in general come from a very accurate design study. 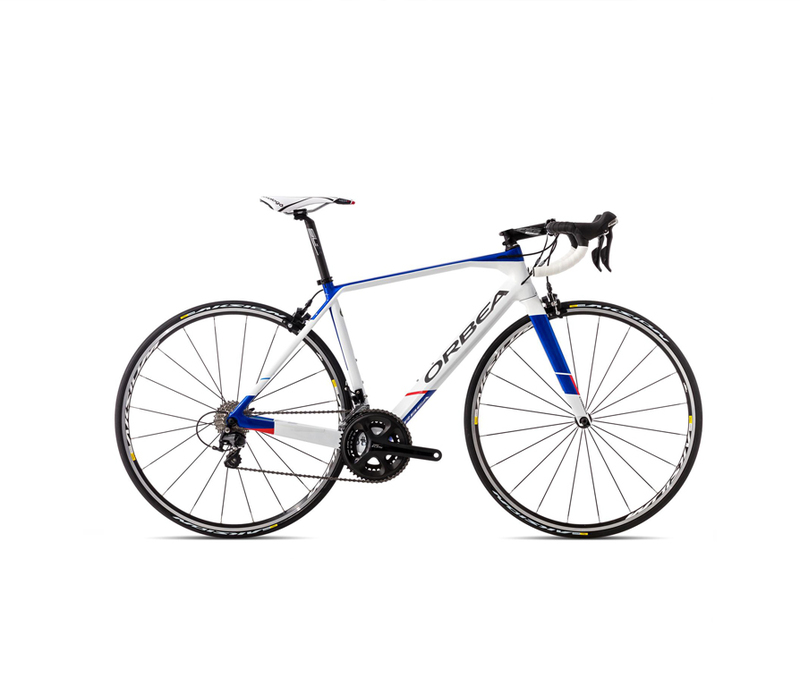 A protagonist in the hi-performance cycling world. The new hi-modulus carbon fibre monocoque frame uses Basso experience in the placement of the direction of the single layers of fibres, creating a main triangle with optimized shaped profiles, which allows a higher resistance to flex and torsion, with as much weight reduction as possible. 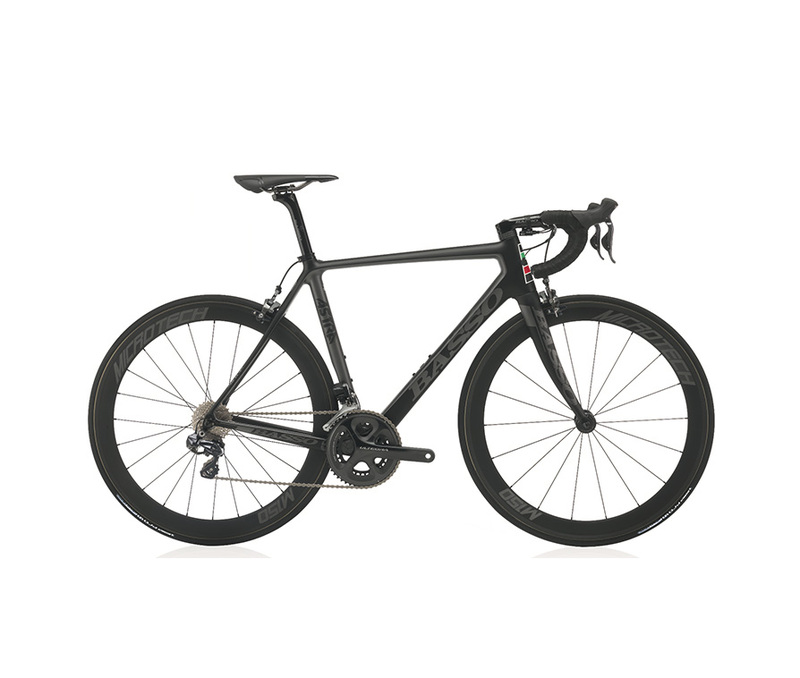 The Astra is a 100% carbon monocoque frame including the bottom bracket and all the bearing housings. The result is a single mould process without the use of different materials. Cone shaped and edge profiled head tube. The edged shaped rear area of the head tube, which links directly to the two main tubes of the front triangle and in a continuous line to the rear seat stays not only gives the new ASTRA a unique look, but also allows us to maximize rigidity and strength with increased riding precision and great reactivity in the standing position. The larger basis of the head tube creates a wider and more rigid surface, erasing the weaker structural spots. The new BB shell construction procedure is now implemented on the ASTRA: the carbon fibre bottom bracket shell made from a single moulding allows us to have a perfect compact structure which gives torsion-free pedalling even at extreme loads, and keep the weight as low as possible. Brand monocoque fork with the 1”-1/8 upper bearing housed directly in the carbon. Best-in-class aerodynamics plus sharp yet stable handling on the road. You get it all with Propel Advanced. Engineered with AeroSystem Shaping Technology and Advanced-grade composite, this race-ready rocketship delivers lightweight performance and a stiff chassis for sprinting. Lighter, more efficient, and more comfortable. These are the words we use to describe the new Orca. This Orca M30 is built on the same all-new OMP carbon fiber Orca frameset as our more expensive bikes, and this is the key element to its magical feel on the road. It blends sharp handling and lightning quick acceleration with the solid performance of the 11-speed Shimano 105 groupset. 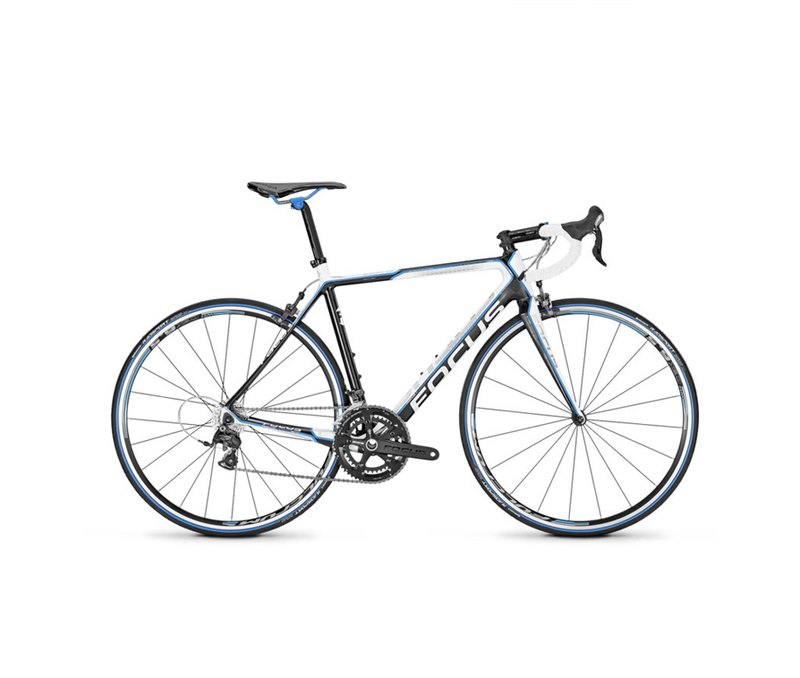 It’s a bike with the durability to withstand lots of training miles, yet it has the lightness you’ll want when the road tilts towards the sky. This is your ticket to fly. Internal Direct Cable Routing protects the cables, reduces friction, and enhances durability. Thanks to internal routing and a fully a sealed cable system with Teflon coated inner wires and a slick polyester sleeve, the risk of contamination is lessened and friction is reduced by up to 25%. The new Orca displays massive tube cross-sections in the critical bottom bracket junction, made possible by a wide PF86 bottom bracket shell. The larger diameters increase efficiency and rigidity without adding weight since the material thickness can be reduced while maintaining the same strength. The Orca features an oversized, tapered headtube (1-⅛ – 1.5”) in both the OMR and OMP models to add stiffness and steering precision. The Focus Cayo Evo 4.0 is a brand new design for the Focus line, featuring Shimano Ultegra and double cranks with a new Press Fit 30 Bottom Bracket you can essentially use just about any crank set you want with the proper fittings. The Cayo Evo frameset is made with Mitsubishi carbon which guarantees the stiffest possible build in all the right places; given that the frame is made with top quality material you can be assured that you will have an edge over the competition. The new Cayo Evo design has tested extremely high and offers all the high end performance you would expect from a FOCUS road bike. 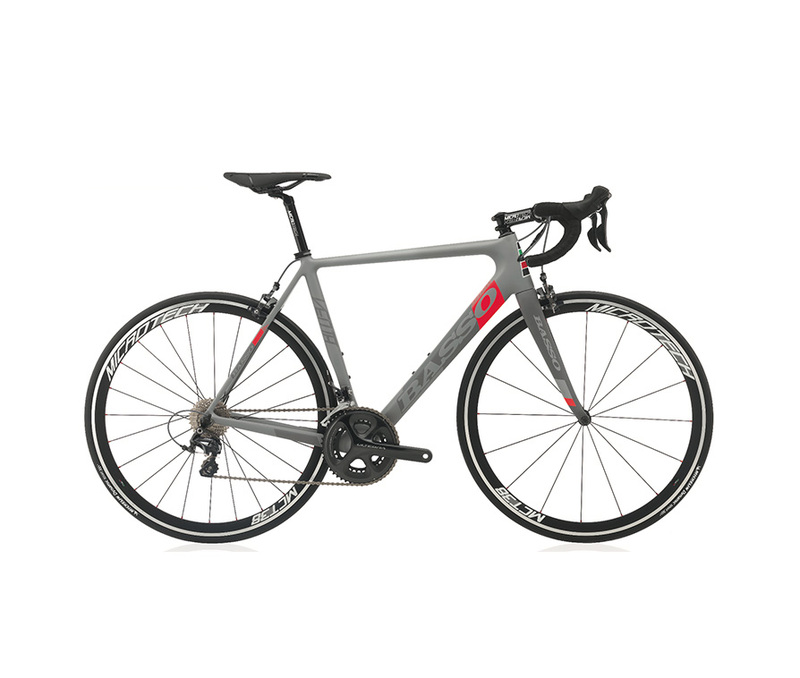 This is the perfect bike for those who want to ride their road bike in a sporty manner whilst looking good, the EVO features elegant lines, internal cable routing and sporty design. The Cayo EVO is a full-on racing machine. 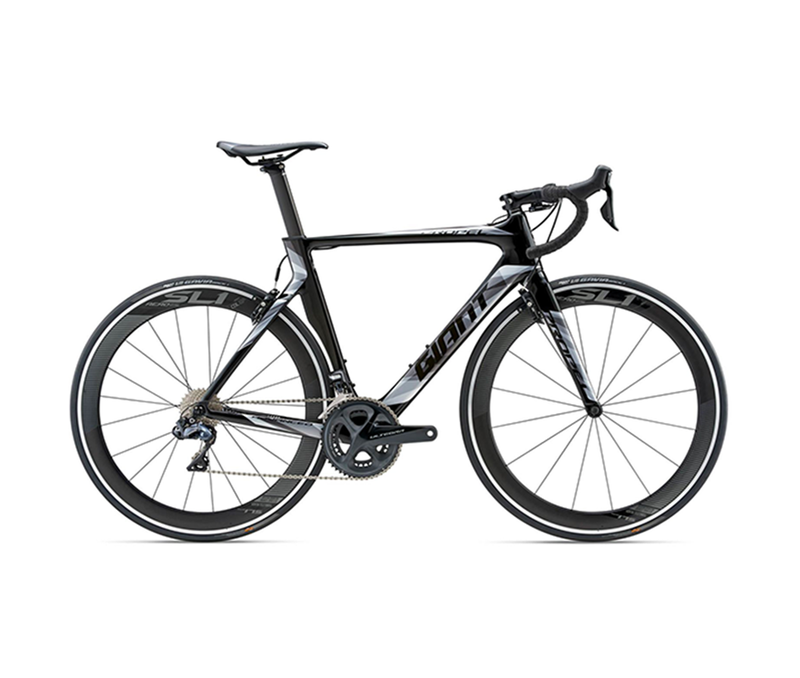 Featuring an aggressive, chiselled frameset the bike can sprint, carve and climb with the best. Pf30 bottom bracket is a further development of the BB30 Standard. The oversized and exceptionally rigid bottom bracket and frame design ensure remarkable torsion resistance. The Lateral Reinforced Comfort Seat stays (LRCS) vertically flexing designs ensures immediate propulsion and long ride comfort.